Cryptomonads are aquatic unicellular eukaryotes that inhabit both marine and freshwater environments. 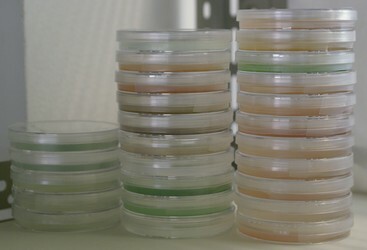 Most cryptomonads are photosynthetic (and are thus referred to as cryptophytes) and possess plastids that are very diverse in pigmentation (Figure 1). In addition to being important from an ecological perspective, the cryptophytes are of pivotal significance in terms of our understanding of endosymbiosis and the evolution of plastids. This is because cryptophytes acquired photosynthesis by the process of secondary (i.e., eukaryote-eukaryote) endosymbiosis, having engulfed and assimilated a red algal endosymbiont at some time during their evolutionary past (Archibald and Keeling 2002; Bhattacharya et al. 2003; Gould et al. 2008). As a result, cryptophytes are extremely complex from a genetic and cell biological perspective, having a four-membrane-bound plastid and four distinct DNA-containing cellular compartments, the plastid, mitochondrion, host nucleus and endosymbiont nucleus, the latter being referred to as the nucleomorph. The cryptophyte nucleomorph genome is highly reduced in structure and coding capacity, and is the focus of ongoing research aimed at understanding the pattern and process of secondary endosymbiosis (Gilson and McFadden 2002; Archibald 2007). 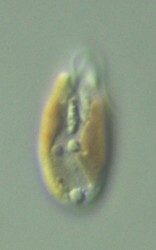 Only one aplastidic cryptomonad genus is known, Goniomonas (Mignot 1965). It differs in cell shape, cell invagination and flagellar structures from the photosynthetic genera. Within the photosynthetic genus Cryptomonas, three lineages lost photosynthesis independently (Hoef-Emden 2005). These colorless cryptophytes still contain leucoplasts (i.e., colorless plastids) and nucleomorphs. A few cryptophyte genera have been shown to possess a dimorphic life history, a fact that has complicated efforts to produce reliable taxonomic schemes (see below). Very little direct evidence for the presence of two different morphotypes currently exists: clear examples have been observed only in a few clonal cultures of the genera Proteomonas and Cryptomonas (Hill and Wetherbee 1986; Hoef-Emden and Melkonian 2003). In these cases, the morphotypes shared the same type of biliprotein but differed in periplast type, cell shape, flagellar apparatus ultrastructure and sometimes in cell size. Indirect evidence for dimorphism in other genera has come from consideration of phylogenetic trees (Rhinomonas/Rhodomonas/Storeatula clade and Geminigera/Plagioselmis/Teleaulax clade). The pervasiveness of this characteristic across the full spectrum of cryptophyte diversity is unknown, though it is possible that a dimorphic life history is an ancient characteristic of the group, inherited from a common cryptophyte ancestor (Hoef-Emden et al. 2002). Cryptophytes can be easily identified by light microscopy due to their asymmetrical cell shapes and their red, olive, brown, blue or blue-green plastids (Figure 2). The apex is often shifted to the left side of the cells, whereas the two unequal flagella insert in the vestibulum of a cell invagination that is shifted to the right. The cell invagination is not always clearly visible, but the large ejectosomes, explosive organelles lining the furrow-gullet system, often are discernible (e.g., Skuja 1948; Huber-Pestalozzi 1950; Butcher 1967). The asymmetric insertion of the flagella causes an unbalanced rotating around the longitudinal axis while swimming. The larger the cells and the more the cells are dorsally or ventrally bent, the more expressed is this “swaying”. The nucleus is always found in the antapical half of the cells. The parietal plastid may be deeply bi-lobed and H-shaped. Sometimes two plastids are found. A single pyrenoid may be present centrally in the plastid, towards the dorsal side of the cell. In bi-lobed plastids this position corresponds to the connection between the two plastid lobes. In some species, two or more pyrenoids are closely appressed to the left and right inner sides of the plastid lobes. In all freshwater species, a contractile vacuole for regulation of osmotic pressure is found in the apex of the cell. Cryptophytes share several unique features that are discernible only by electron microscopy. The cryptophyte-specific cell surrounding, termed the periplast, is a sandwich-layered structure consisting of proteinaceous inner (IPC) and surface periplast components (SPC) that embrace the plasma membrane (Figure 2; Kugrens et al. 1986; Brett et al. 1994). Small light microscopically invisible ejectosomes are scattered in a regular pattern underneath the periplast. Both types of ejectosomes, the large furrow-gullet ejectosomes and the small periplast ejectosomes, consist of two connected ribbons tightly coiled like springs (Morrall and Greenwood 1980). They become abruptly discharged upon mechanical or chemical irritation causing the cells to shoot away from the irritant. 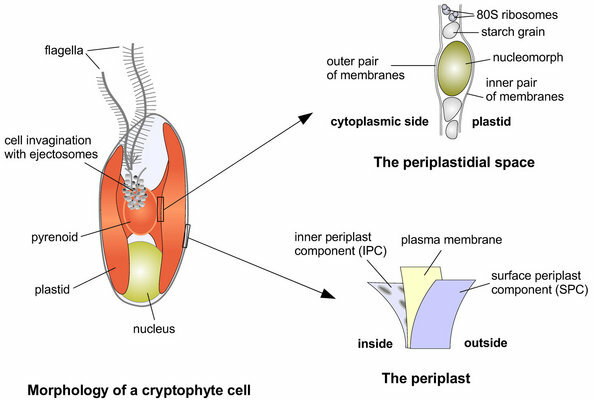 The cryptophyte plastid is surrounded by four membranes and harbors a second highly reduced eukaryotic genome, the nucleomorph (see Cell Biology), in its periplastidial compartment between the two outer and the two inner membranes. The unique highly modified biliproteins are not found on the outside of the thylakoids, but as electron-dense material in the thylakoid lumina (Gantt et al. 1971). The flagella of cryptophytes resemble those of the stramenopiles. Two rows of stiff flagellar hairs on the longer locomotoric flagellum cause a reversal of thrust. With the flagellum pointing in the direction of swimming, the cells are pulled behind. The shorter flagellum bears only one row of flagellar hairs. Several variations of this pattern have been reported by Kugrens et al. (1987). The flagellar hairs of the locomotoric and trailing flagella are attached in a different way and also differ in length and in number of terminal filaments (Hibberd et al. 1971). In the aplastidic cryptomonad Goniomonas, the appendages of its flagella are highly modified. In addition to fine filaments, one flagellum is covered with a row of curved spikes that probably impede a cryptophyte-like swimming behaviour (Kugrens et al. 1987). Cryptophytes successfully conquered freshwater, brackish and marine habitats (Klaveness 1988). They have even been found in snow (Javornický and Hindák 1970). As non-toxic plankters, cryptophytes serve as important prey for diverse predators and are used as food in fish farming (Pedrós-Alió et al. 1995; Brown et al. 1997; Pastoureaud et al. 2003; Tirok and Gaedke 2007). A greater diversity of genera is found in marine habitats, whereas the densest populations of cryptophytes often develop in the deep-water layers of freshwater lakes (genus Cryptomonas; Pedrós-Alió et al. 1995; Gervais 1997, 1998). Due to their biliprotein light harvesting complexes, cryptophytes can photosynthesize in low light conditions (Gervais 1997; Hammer et al. 2002). Cryptomonas species migrate in a daily rhythm in the water column of freshwater lakes from the chemocline close to the anaerobic bottom layer up to the epilimnion (Pedrós-Alió et al. 1995; Gervais 1997, 1998). It has been hypothesized that this migration may either be a strategy to circumvent contact with predators or a way for the Cryptomonas cells to take advantage of the nutrients available in deep waters and then return to the nutrient-depleted but light-flooded epilimnion for photosynthesis (Salonen et al. 1984; Klaveness 1988; Pedrós-Alió et al. 1995; Camacho et al. 2001). The formation of palmella, flocks of flagellated cells embedded in mucus, probably serves as a protection against predators. 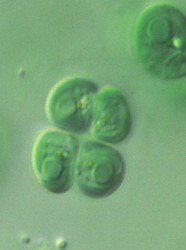 Cryptomonas cells, and perhaps also other cryptophytes, can produce globular thick-walled cysts as resting stages to survive unfavorable environmental conditions (Lichtlé 1979, 1980). 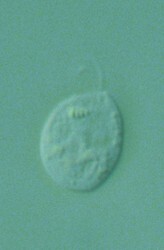 The phagotrophic cryptomonad genus Goniomonas does not swim in the water column, but glides along substrates in search for prey. Bacterivory has been reported also from the plastid-containing cryptophytes, and endocytic bacteria have been found in ultra-thin sections (Tranvik et al. 1989; Kugrens and Lee 1990; Schnepf and Melkonian 1990; Marshall and Laybourn-Parry 2002). The bacteria found in the cells apparently entered the cells via the contractile vacuole (Kugrens and Lee 1990, 1991). Different from Goniomonas, a cytostome or cytopharynx is not present in plastid-containing cryptophytes. Cryptophytes acquired photosynthesis by secondary endosymbiosis, and their plastids possess four membranes (Figure 3). The inner two membranes correspond to the inner and outer membranes of the cyanobacterial progenitor of the plastid, while the third and fourth (outermost) membranes appear to be derived from the plasma membrane of the secondary endosymbiont and the phagocytic vacuole of the host eukaryote, respectively. The space between the inner and outer pairs of plastid membranes, which corresponds to the remnant cytoplasm of the engulfed algal cell, is known as the periplastidial space and contains the nucleomorph. Little is known about the cellular activities taking place in this compartment and in the nucleomorph itself, beyond starch synthesis/storage and core biochemical processes such as DNA replication, transcription and translation. 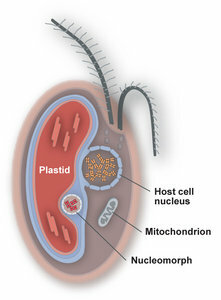 The outermost plastid membrane, which is studded with ribosomes, is continuous with the nuclear envelope and endoplasmic reticulum (ER). This arrangement has been referred to as the chloroplast ER (Gibbs 1981) and results in a close association between the plastid-nucleomorph complex and the host cell nucleus. The process of targeting host nucleus-encoded proteins to the plastid is considerably more complex in cryptophytes than in plants and algae, whose plastids are of primary endosymbiotic origin. In cryptophytes and other secondary plastid-containing organisms, plastid-targeted proteins possess a bipartite amino-terminal leader sequence consisting of a signal peptide followed by a transit peptide. Together, these topogenic signals allow newly translated proteins across as many as four membranes to their site of function (Gould et al. 2008). It has been hypothesized that the nucleomorph-encoded ER-associated degradation (ERAD) machinery of the endosymbiont has been co-opted to perform a new function. Instead of exporting proteins for degradation from the non-existent periplastidial ER, it may now be involved in importing nucleus-encoded proteins into the periplastidial space or plastid (Sommer et al. 2007). Two types of light harvesting complexes are found in the cryptophyte plastid, a chlorophyll a/c2 complex on the outside of the thylakoid membranes and a biliprotein that, peculiarly, accumulates as dense material in the thylakoid lumina (Gantt et al. 1971; Vesk et al. 1992). In red algae, the biliproteins are components of very large light harvesting complexes termed phycobilisomes, which are attached to the exterior of the thylakoids. At least three different types of biliproteins organized in heterohexa- or heterodocameric discs contribute to energy transfer (Gantt 1996). In the cryptophyte plastid, only one highly modified biliprotein has been retained, whereas the rest of the phycobilisome has disappeared during the course of evolution (Hill and Rowan 1989). The quarternary structure of the biliprotein changed from a heterohexa- or heterodocameric disc to an αα′ββ heterodimer (Wilk et al. 1999). 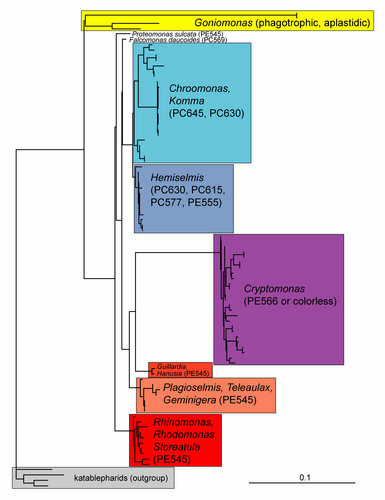 The β subunits of all sequenced cryptophyte biliproteins grouped in phylogenetic analysis with red algal phycoerythrins, irrespective of a blue (“phycocyanin”) or red (phycoerythrin) color, indicating that all known types of cryptophyte biliproteins evolved from a red algal phycoerythrin. Exchanges of the covalently bound linear tetrapyrroles gave rise to different colors and absorption spectra (Glazer and Wedemayer 1995). The a subunits of the biliproteins are so highly diverged that their evolutionary origin could not be deduced (Apt et al. 1995). Whereas in red algae, all genes for biliprotein subunits are found in the plastid genome, the α subunits of the cryptophyte biliprotein are encoded in the nucleus (Jenkins et al. 1990; Broughton et al. 2006). Of all subunits, only one of the two slightly different α subunits contains a targeting sequence for import into the thylakoid lumen, possibly via the TAT pathway (Reith and Douglas 1990; Broughton et al. 2006; Gould et al. 2007). It has therefore been hypothesized that the biliprotein is assembled in the plastid stroma, and then the complete complex imported into the thylakoid lumen guided by the targeting sequence of the α1 subunit (Broughton et al. 2006). Despite its extreme divergence and peculiar locality, the cryptophyte biliprotein is a fully functional light-harvesting complex, in low light conditions or under green light (Lichtlé et al. 1980; Doust et al. 2006). Together with the chlorarachniophytes, the cryptophytes are unusual in that they possess a nucleomorph, a small, double-membrane-bound organelle residing between the inner and outer sets of plastid membranes (Figure 2). The nucleomorph was first described in the 1970s (Greenwood 1974; Greenwood et al. 1977) and has been studied using cytochemistry and, more recently, molecular biology. Phylogenetic and comparative genomic analyses (e.g., Douglas et al. 1991; Douglas et al. 2001; Hoef-Emden et al. 2002) have shown convincingly that the cryptophyte nucleomorph is a remnant nucleus of red algal origin. The structure and function of the cryptophyte nucleomorph genomes has provided fascinating insight into the process of genome reduction and compaction. Preliminary karyotypic analysis of the cryptophyte Pyrenomonas salina (now Rhodomonas salina) revealed that its nucleomorph genome is ~660 kilobase-pairs (Kbp) in size and comprised of only three chromosomes (~195, 225 and 240 Kbp; Eschbach et al. 1991; Maier et al. 1991). As of 2008, the known size distribution of cryptophyte nucleomorph genomes is between ~450 and ~850 kilobase-pairs (Kbp) (Rensing et al. 1994; Lane et al. 2006; Archibald 2007), presumably orders of magnitude smaller than the red algal genomes from which they evolved. The presence of three nucleomorph chromosomes (Figure 4) appears to be a universal feature that, intriguingly, is shared with the nucleomorphs of an unrelated algal group, the chlorarachniophytes. The first nucleomorph genome to be sequenced was that of the model cryptophyte Guillardia theta (Douglas et al. 2001). 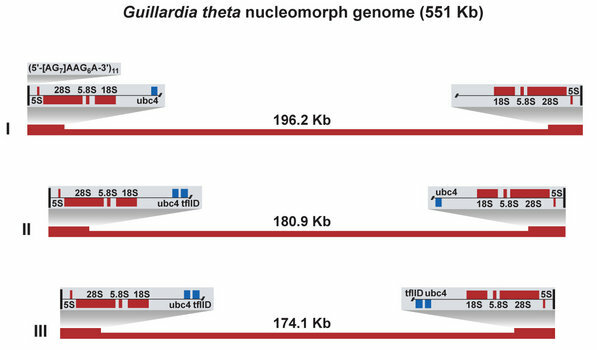 The G. theta nucleomorph genome is 551 kilobase-pairs (Kbp) in size, partitioned amongst three chromosomes of ~196, 181 and 174 Kbp (Figure 4). The chromosomes are characterized by the presence of near-identical sub-telomeric ribosomal DNA repeats. The telomeres themselves are unusual in structure, being comprised of a (5’-[AG]7AAG6A-3’)11 repeat. The overall A,T content of the genome is high, ~75%. The genome possesses genes primarily with ‘housekeeping’ functions such as protein folding/degradation, transcription, and translation. 30 genes encoding plastid-targeted proteins are present. In 2007, the nucleomorph genome of another cryptophyte, Hemiselmis andersenii, was sequenced (Lane et al. 2007). At ~572 Kbp, the H. andersenii genome is slightly larger than that of G. theta. The overlap in gene compliment between the two genomes is extensive (H. andersenii contains the identical set of 30 plastid protein genes), as is the degree of gene order conservation (synteny). The most striking difference between the two genomes is the complete absence of spliceosomal introns and genes for splicing proteins and RNAs in the H. andersenii genome. The G. theta genome contains 17 introns between 42 and 52 base pairs in size. The gene density in the cryptophyte nucleomorph genome is high (~1 Kbp/gene), a fact that has important implications for the process of transcription. Numerous instances of mRNAs encoding more than one gene have been discovered in the G. theta nucleomorph (Williams et al. 2005), presumably a result of the transcriptional regulatory elements being located within or beyond neighbouring genes. The evolutionary position of the host cell component of cryptophytes on the eukaryotic tree is not well understood. Cryptomonads were once suggested to belong to the Chromista, a tripartite lineage comprised of the cryptomonads, haptophytes and photosynthetic stramenopiles (Cavalier-Smith 1986). These three lineages each possess a secondary plastid of red algal origin, and it has been hypothesized that this organelle originated in a single endosymbiotic event in their common ancestor, and possibly much earlier, in a common ancestor shared by chromists and alveolates, which are comprised of dinoflagellates, apicomplexans and ciliates. It is not clear whether ‘chromalveolates’ (chromists , alveolates) represent a monophyletic lineage and, if so, whether the red algal plastids of photosynthetic chromalveolates are in fact the product of a single secondary endosymbiosis. Molecular phylogenetic analyses of plastid-, mitochondrion- and nucleus-encoded genes have produced inconclusive results (e.g., Yoon et al. 2002; Harper et al. 2005; Khan et al. 2007; Sanchez-Puerta et al. 2007). Multigene phylogenies of nuclear loci suggest that while cryptomonads and haptophytes are specifically related, the stramenopiles are not their closest relatives (Burki et al. 2007; Hackett et al. 2007; Patron et al. 2007; Burkiet al. 2008). Possible evolutionary connections between cryptomonads and several newly discovered protist lineages have also been established, including the katablepharids (Okamoto and Inouye 2005), telonemids (Shalchian-Tabrizi et al. 2006) and picobiliphytes (Not et al. 2007). The use of the prefix “crypto” in names of higher classification ranks (division Cryptophyta, class Cryptophyceae, order Cryptomonadales, family Cryptomonadaceae, cryptomonad, cryptophyte) originates from the first described cryptophyte genus Cryptomonas described by Ehrenberg (1831). 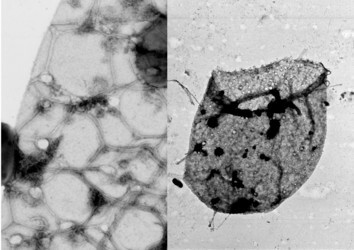 Prior to the use of electron microscopy, light microscopical examinations of cryptophyte cells from field samples were state-of-the-art. Several genera and around 200 cryptophyte species have been described based on morphological characters visible by light microscopy (Huber-Pestalozzi 1950, Butcher 1967, Starmach 1974). Species descriptions included to varying degrees cell size, cell color, cell shape, number of ejectosome rows, presence and number of Maupas ovals, presence and number of pyrenoids, number and shape of plastids, and type of cell invagination. The morphological species concept was based on the assumption that different morphological characters indicate different species. Pringsheim (1968), however, stressed the necessity to test this assumption by examining the reliability and specificity of morphological characters using clonal cultures instead of field material. After examining many Cryptomonas strains, he came to the conclusion that it was not possible to apply the morphological species concept to Cryptomonas due to a lack of distinctive characters and too many transitional forms (Pringsheim 1968). Cryptophyte strains have been examined by transmission and scanning electron microscopical methods. These studies unveiled a considerable variation of delicate periplast structures (Figure 5), different shapes of cell invagination and differences in flagellar roots. The nucleomorph could be found in different positions in the cell (free in the periplastidial space, embedded in the nucleus or embedded in the pyrenoid matrix). These findings resulted in descriptions of new cryptophyte genera based on morphological characters visible by electron microscopy only (summarized in Clay et al. 1999). Different from the morphological characters used to delimit species by light microscopy, these ultrastructural features were clearly distinctive. Except for one strain expressing two different morphotypes in a culture (Hill and Wetherbee 1986), the type of periplast, structure of the flagellar root system, and also position of the nucleomorph seemed to be stable characters in a culture. In the 1950s, the first spectrophotometric analyses of cryptophytes were performed and provided evidence that each strain contains only one type of biliprotein (summarized by Hill and Rowan 1989). 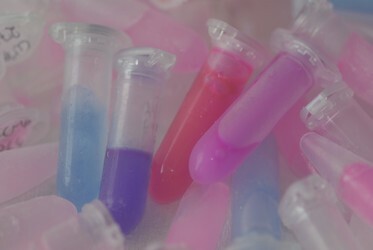 Thus far, eight different types of biliprotein have been found, each one stable in a clonal culture (Figure 6; Hill and Rowan 1989; Hoef-Emden 2008). In sum, although cryptophyte ultrastructural characters and their biliproteins were stable in most cultures, phylogenetic analyses performed thus far have revealed that their use as diagnostic characters does not necessarily result in a natural system. Several of the clades do not correspond to genera, and not all morphologically defined genera form distinct sub-groups within these clades (Marin et al. 1998; Deane et al. 2002; Hoef-Emden et al. 2002). Only the freshwater genus Cryptomonas and the genus Hemiselmis have been examined in greater detail and revised so far. Thus, cryptophyte systematics is in a state of flux. Page: Tree of Life Cryptomonads = Goniomonas + plastid-containing cryptophytes. Cryptophyta. Authored by Kerstin Hoef-Emden and John M. Archibald. The TEXT of this page is licensed under the Creative Commons Attribution-NonCommercial License - Version 3.0. Note that images and other media featured on this page are each governed by their own license, and they may or may not be available for reuse. Click on an image or a media link to access the media data window, which provides the relevant licensing information. For the general terms and conditions of ToL material reuse and redistribution, please see the Tree of Life Copyright Policies.